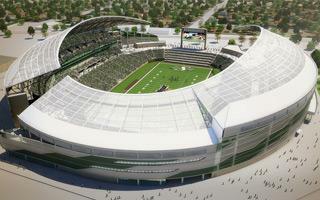 The Rams will be playing the University of Saskatchewan Huskies on Oct 1 in the new Mosaic Stadium. It will be the first event at the brand new multi-purpose facility. The stadium is expected to be mostly completed by Aug 31. According to the city, this game will be an opportunity for them to test the construction of the building including washrooms, public address systems and elevators. “This test game has been speculated about for quite some time and I’m very pleased to make this official,” Mayor Michael Fougere said.